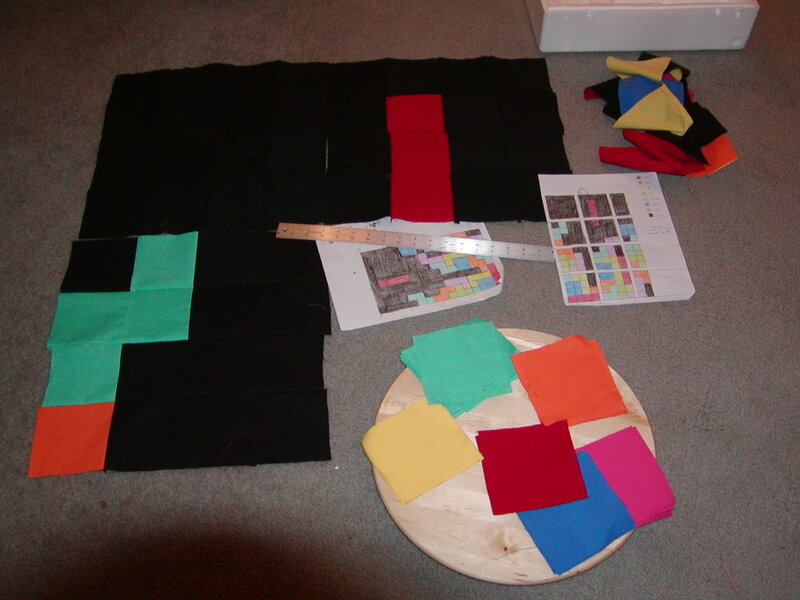 I worked on the quilt for almost two hours and here’s what I have so far. Turns out I’m not very good at making perfectly even squares, starting with cutting the squares and right on through sewing even seam allowances and all that, which starts to become much more obvious after 16 iterations. I started with the less visible black parts so that, hopefully, I’ll be better by the time I’m working on the varied colored blocks. If I keep up my current pace I could have a finished quilt by the end of the weekend. January 10, 2007. Pictures, Words. Cool! This will get a digg when you’re done. You’ll be famous and then the server will crash! I better move this site to the beefier server! January 10, 2007 at 10:59 pm. Permalink.